As a part of Nike Football's "Dreams Are Made Here" activation at Super Bowl LIII, Nike made it rain Air Force 1s [and jerseys] from the cloud with its first-ever shoe drop using AirDrop. 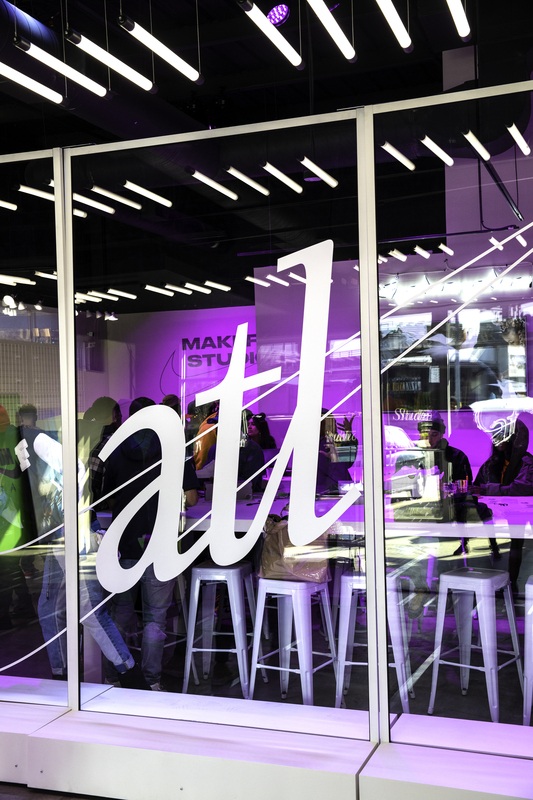 The activation took place on Friday, Feb 1 at the brand's "Studio of Dreams" space in Atlanta. Imagine: You're in the studio checking out the experience. You get an AirDrop from "Nike Studio of Dreams." Do you accept? Hopefully you do. Because the ones who did received a video explaining what was just dropped: A unique, 1:1 experience including a custom jersey designed by one of four top Atlanta designers; and a customization session at Atlanta boutique A Ma Maniere to design a pair of Nike Air Force 1 sneakers. "AirDrop is an underutilized functionality that’s simple to use. No brand has really leveraged its power in a way that’s not just for 'shock' value," said Carren O’Keefe, partner/ECD of AnalogFolk. "With AirDrop1 we wanted to create a drop that matched the energy and creativity of Atlanta. It was an opportunity to share some of Nike's most elite experiences with the people of the city. It was all about being at the right place, at the right time. It could have been anyone. After all, dreams are made here." The activation was created and executed by digital creative agency AnalogFolk, AOR for Nike Football, in partnership with Fugo Studios and photographer Ray Gordon. The Atlanta-based designers who participated are: Dr. Dax, Zipporah Joel, Debbi Snax and FRKO.